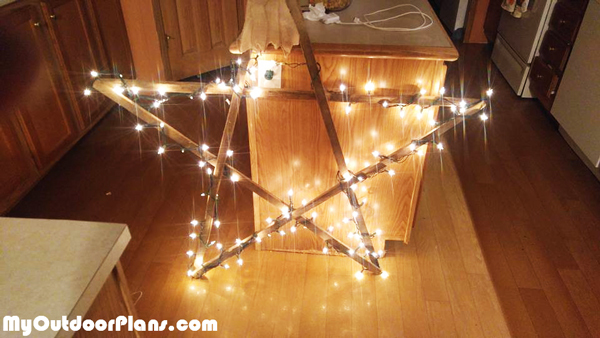 This a tobacco Stick Star with lights. Made from old tobacco sticks (5), lights from Walmart $3.00. Nailed together with a nail gun.